← Ziki or boring flu? 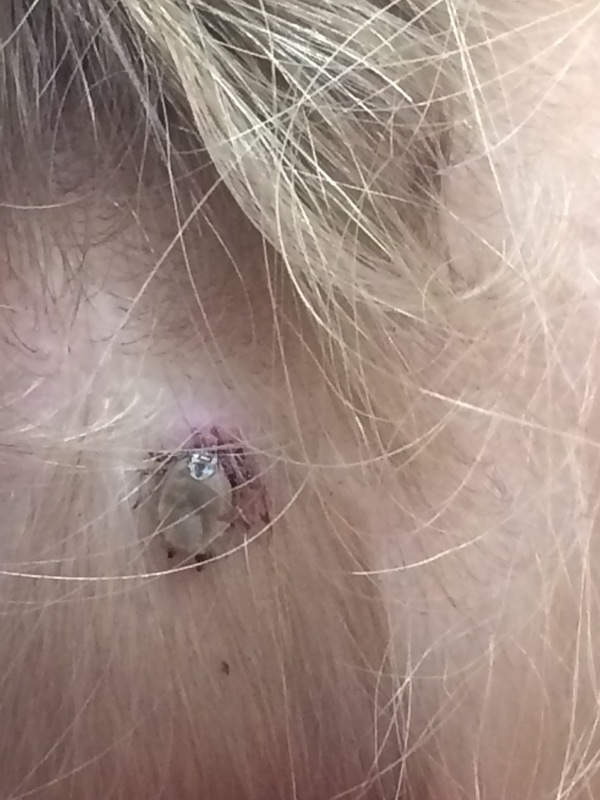 Of all the tropical diseases my daughter could get on Puerto Rico, she gets a tick stuck in her head during our visit to Wisconsin. We camped ‘up north’ last weekend, but maybe yesterday’s hike at Picnic Point is where she obtained her passenger. In any case, when I went to wake her up this morning I saw the ugly thing sitting right on her scalp. Thinking it was just a mark from a marker I rubbed it with my finger. Then knew immediately. Ack!! 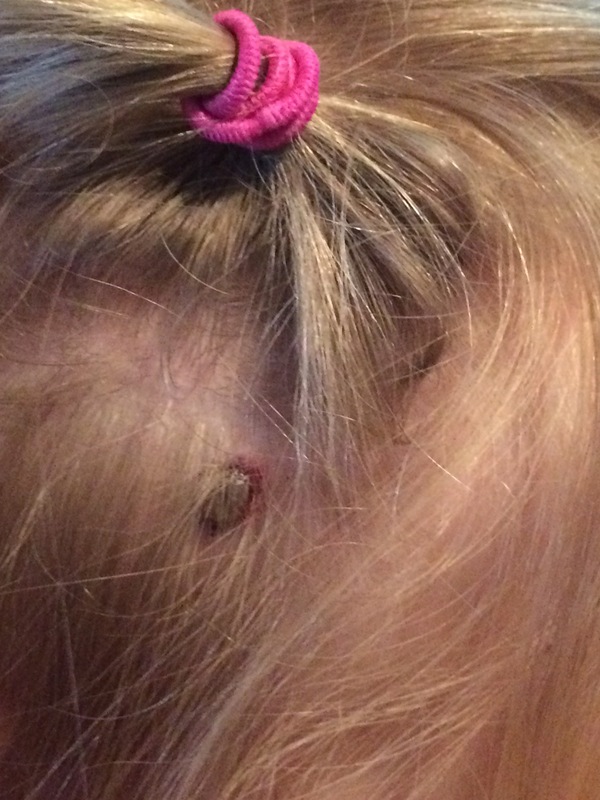 It has already burrowed its tiny head into her skin and was sucking her blood. Do you know how Lyme’s disease is contracted? LIKE THIS! I ran downstairs to find my phone by the charger only to have my worst nightmare come true. I couldn’t find my phone in an emergency! Back upstairs? Not there. Back downstairs resting on a wooden train track on the coffee table. Real helpful to have it there. Called 911 thinking they could just tell me how to pull it out, the dispatcher offered to send an ambulance. Uh, can’t i just get a tweezers?? Ok, we’ll go to UW Emergency Room instead. 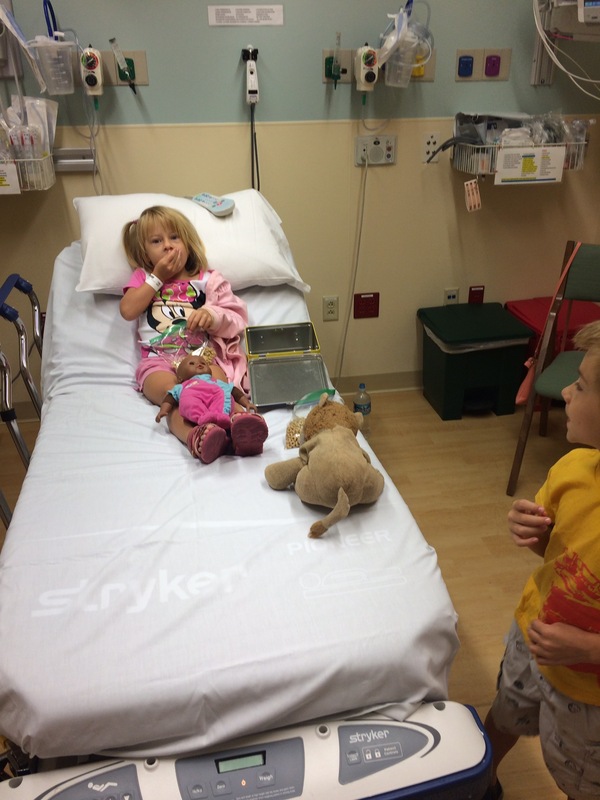 It was an easy ER trip taking only around 45 minutes. We were the only ones there! Being a dog tick not a wood tick, the chances for Lyme’s disease was practically non existent. Whew! I hate ticks! We live in northern Illinois and have them sometimes in our property in the back pine trees. I try to not go back there, haha. Glad that it wasn’t a “bad” tick. How did they get it out?